Adobe Photoshop is the perfect tool to create images and it is used by professionals as well as home users. Photoshop files or the layers sometimes for no apparent reason gets corrupted and refuses to open. 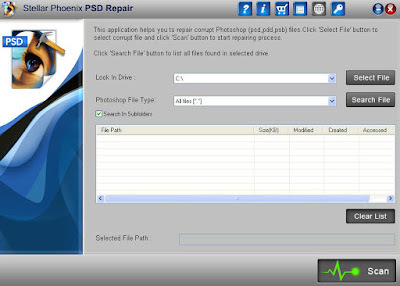 As a result of the numerous situations like: sudden power failure, interruption while downloading and virus infection etc; can damage or corrupt the Photoshop files. In this blog, we will discuss the header corruption in .PSD file and solution to overcome from this issue. Header of any .PSD file contains all the vital information about PSD file such as size, colors, number of layers and other important details. When the header got corrupted of the Photoshop file then the operating system or other tools cannot access that file.